To see available suites please click here. 9808 Venice Boulevard is just one oasis in the center of the invigorated Culver City. 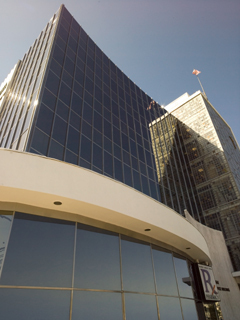 Brotman Physicians Plaza is situated in downtown Culver City, directly on Venice Boulevard amidst several charming restaurants and shops. Built in 1964 and renovated in 2004, the building offers breathtaking panoramic views of the city. Each floor of 9808 Venice Boulevard has been given a unique character that is personal and exciting, instilling every feature of the building with transformed vigor. Brotman Physicians Plaza is the ideal location for anyone with a medical practice looking to relocate or begin a new one.